Dr. David Ness, Sports chiropractor, is located in the Hudson Valley in New Paltz, N.Y. We offer Traditional and Sports Chiropractic care, Active Release Techniques, Spinal Decompression, Cold Laser, Acupuncture, Massage Therapy, Titleist Golf Fitness, and Runner’s Gait Analysis. Dr. David Ness is a Certified Sports Chiropractor, Certified Master Active Release Techniques® Provider, Certified Kennedy Spinal Decompression Specialist, and Certified Titleist Golf Fitness Instructor®. In addition to traditional chiropractic care, Dr. Ness utilizes ART® to remove scar tissue and adhesions from injured muscles, ligaments, tendons, and nerves. Dr. Ness uses Selective Functional Movement Assessments to reveal the underlying bio-mechanical stresses that cause injuries and pain. Dr. Ness also uses non-surgical spinal decompression to alleviate pain from disc herniations in the neck, back, and sciatica. 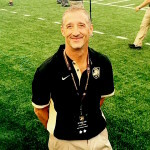 Dr. Ness practices in New Paltz, and serves as the official chiropractor, and ART® provider for the ARMY WEST POINT football team, Marist College, and the Vassar College Athletic Dept. Dr. David Ness is available by appointment Mon – Sat. William Weinstein has been in private acupuncture practice since 2002, honing a modernized perspective on ancient traditions. Acupuncture’s effectiveness is based on its ability to minimize pain at the same time it promotes healing. Bill’s sessions are intensive, focused and aimed at moving his patients into their zone of health as quickly as possible. Bill offers acupuncture services ranging from pain management (sports or repetitive use injuries, headache, migraine, menstrual) to smoking cessation to support through cancer care. He also offers Mei Zen Cosmetic Acupuncture. Smokers: If you’re still smoking after three treatments, the fourth is at no charge. Athletes: Sports injuries will heal faster, with quicker relief from pain, if you access acupuncture treatment as soon as possible after injury. Scott Field is a Licensed Massage Therapist and full body certified Active Release Techniques Provider. Scott is licensed to practice many modalities of bodywork ranging from Swedish, therapeutic, medical, and sports massage. Scott’s main area of focus is deep tissue, ortho-theraputic bodywork. Scott works with all types of clients and specializes in treating athletes and active individuals with acute/chronic injury and/or repetitive strain syndromes.